Successfully Added Outdoor CPE Wireless WIFI Extender Repeater WiFi Router to your Shopping Cart. 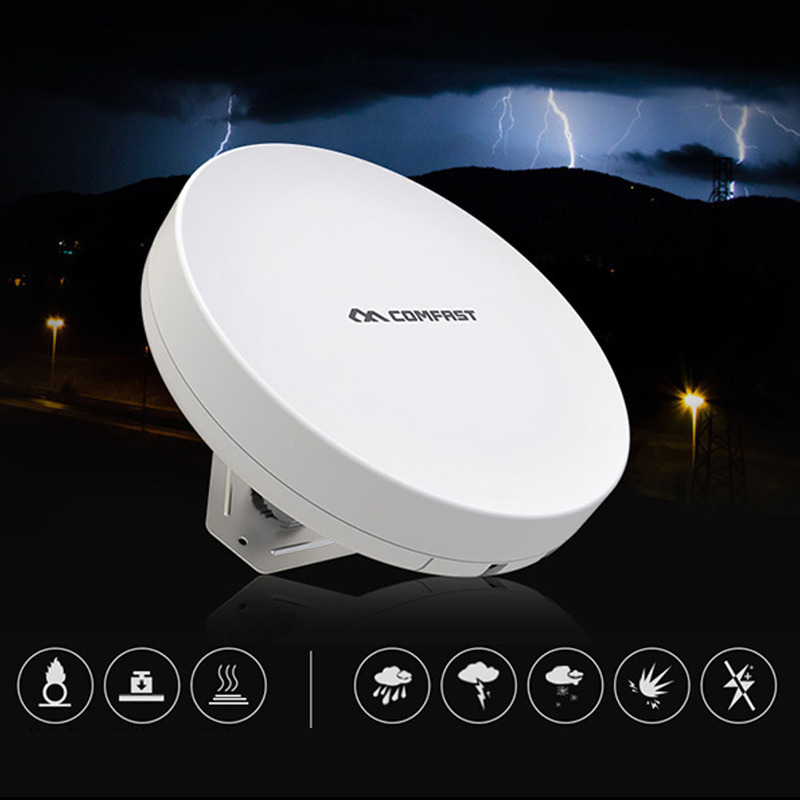 -- Power consumption: (maximum) <8W, IP Index 2KV lightning protection. -- IP65, MTBF> 250000H, installation type wall-mounted / pole mounted, case plastic case (imported ABS material). -- Physical port: 1 * 10 / 100Mbps WAN RJ45 Ethernet port, 1 * 10 / 100Mbps LAN RJ45 Ethernet port, 1 * RESET button, 1 * toggle switch (supports AP mode and client mode interchange). -- Hardware specification chipset: Qualcomm QCA9531 650MHz CPU.